SpaceNews has hired Jeff Foust, a veteran space journalist and industry analyst, as senior staff writer to expand the company’s coverage of civil and commercial space. 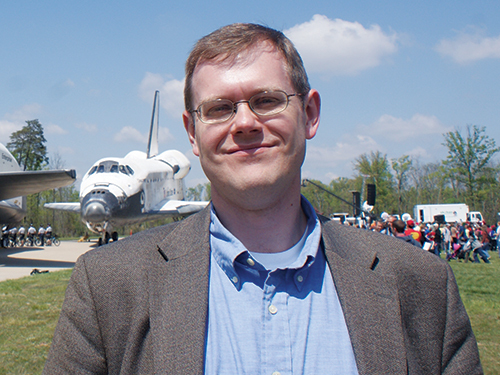 Foust has more than a decade of experience writing about space policy, entrepreneurial ventures and regulatory affairs. In 2001, he established SpaceToday.net to aggregate and summarize the day’s space-related news stories. In 2003, he started The Space Review, a weekly publication of long-form articles and commentary on a wide range of space topics. Both sites will continue operation in association with SpaceNews. For more than 10 years, Foust also operated Space Politics, a Web-based blog devoted to space policy topics; his commercial space blog, NewSpace Journal, started more than eight years ago. The sites will no longer be updated, but their archives will remain available indefinitely. Foust will continue to provide insightful analysis and objective reporting each week through the print and digital editions of SpaceNews and each day on SpaceNews.com. He also will be involved in developing new approaches for reporting about the space industry. While building and operating his websites, Foust worked as a senior analyst at Bethesda, Maryland-based Futron Corp., a privately held consultancy recently sold to Washington-based Avascent. He is now out of the consulting business, enabling him to dedicate all of his professional energies to journalism. Foust has previously written for a number of other publications, including Ad Astra, Astronomy Now, National Geographic News and Sky & Telescope. He earned a doctorate in planetary science from the Massachusetts Institute of Technology in 1999 and a Bachelor of Science with honors in geophysics and planetary science from the California Institute of Technology in 1993.